As we enter December, we enter the Christmas season. While baking cookies and eating too much fudge is great, the best way to get into the holiday spirit is by watching those classic Christmas movies. We look forward to them every year, but there are so many, who knows what to watch. Here’s a list of the top 5 best Christmas movies (in my humble opinion) that you need to watch this holiday season. 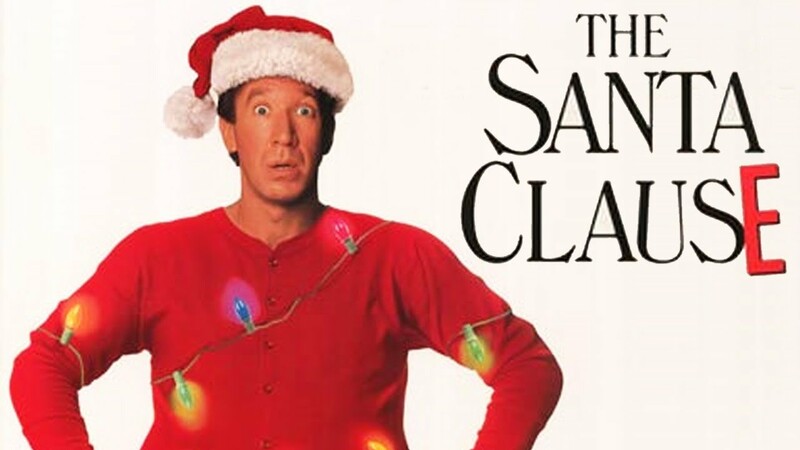 Starring the wonderful Tim Allen, “The Santa Clause” is the magical story of a regular dad who finds himself turning into the big man himself, Santa Claus, all due to a Christmas Eve misunderstanding. Although the movie was released in the 90s, it’s still a must-watch today. Will Ferrell stars in this witty fan favorite about a human baby who is adopted by one of Santa’s elves. Buddy grows up his whole life believing himself to be an elf despite the fact that he towers over his “fellow” elves and can’t make a toy to save his life. Upon discovering that he is indeed a human being, Buddy sets off to New York City to find his biological father and bring Christmas spirit back to the jaded city. The Eloise movies revolve around a wild yet lovable six year old girl who lives at the Plaza Hotel in New York City under the supervision of her loving Nanny (Julie Andrews). “Eloise At Christmastime” is the sequel to the original movie “Eloise At The Plaza” (based on the best selling children’s book). In this installment, Eloise grows suspicious when the Plaza’s owner’s daughter returns to New York with her sketchy fiancé for a Christmas Eve wedding. The movie is funny and charming and surprisingly receives little notoriety around Christmas despite being one of the best Christmas movies I’ve ever seen. Despite being marketed towards children, “Eloise At Christmastime” is entertaining for the whole family. Both the original movie and the remake are phenomenal when it comes to “Miracle on 34th Street”- a heartwarming movie about what happens when Santa Claus himself befriends a young, cynical girl. This movie will make everyone a believer again despite when you stopped writing letters to Santa. This Tom Hanks classic brings to life the amazingly written and illustrated children’s book, “The Polar Express”. The movie is so well done and true to the original illustrations that you feel as if you’re truly inside the book. The story revolves around a boy who has stopped believing in Santa. One Christmas Eve, he is awoken by the sound of a train plowing down his street. Upon running outside and meeting the conductor, he discovers that the train is a magic train that takes children to the North Pole every Christmas Eve to meet Santa. As the boy sets off on the train ride he meets new friends and rediscovers the Christmas spirit. So make a cup of hot chocolate, rent some movies, and start getting in the Christmas spirit.